Håndboldklubben KIF Kolding is in trouble in the Mens Handball League, but for the summer there is outside help. the Club has signed a contract with stregspilleren Benjamin Pedersen as well as bagspillerne Chris Jorgensen and Peter Jorgensen. All three have signed three-year contracts, writes KIF Kolding in a press release. Benjamin Pedersen, measuring 198 centimeters, changing from TMS Ringsted. - I'm really happy with my switch to KIF Kolding, as it is the next step in my career. - I am a zealous young man who dreams big dreams, and I think KIF Kolding's plans for the future and my own have a good interaction, he says in the message. our Ambition is to bring KIF Kolding back to its former strength, stresses Chris Jorgensen. - I am delighted to start in Kolding. The clear objective is to help to bring THIS back to the top of Danish handball, and I am incredibly proud to be a part of, he says. the Same goal has the club's director, Christian Phillip. - IN KIF we very much welcome the upcoming approaches of these three skilled players. We have a clear ambition to get back to the top of Danish handball, and what these players contribute, he says. After 21 matches is KIF Kolding on 11.-the square with 12 points. There are six points up to the top-8, which will play the playoff for the championship. 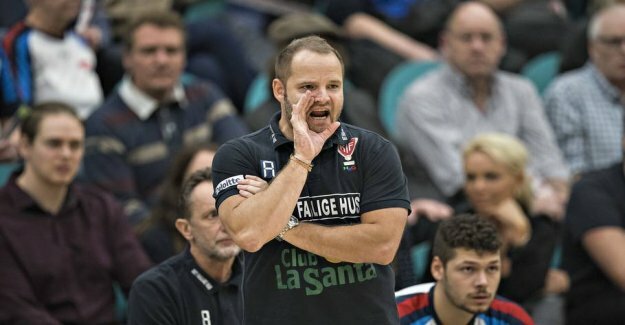 last week was Lars Frederiksen was fired as head coach, and the responsibility was left to assistant coach Lars Rasmussen.